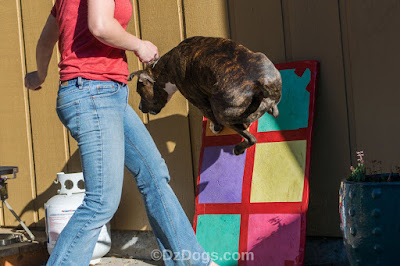 DZ's Adventures: Flyball Wall Turn Practice! Dante is getting a lot of height, I imagine the next step will be to teach him to turn tighter and lower since the flyball box isn't very tall. We're still working on bringing the jump closer to the wall, for some reason when I try working it closer Dante ends up taking the jump awkward and crashing into the wall instead of making a nice tight turn. I imagine this is mostly my error as a new handler as opposed to his error. I have a few ideas for fixing it before our next practice this Friday but the problem we're running into is that it's been to hot to practice when I get home in the afternoon. Dante melts down into a puddle of mush and just looks at me like i'm crazy even when I get his favorite toys out! I know he's too hot when he does that! "Too hot to play mom, i'll just lay here..."
Maybe if I hose him down before we play? How do your dogs do in the heat? We all should be doing that, but us kitties kind of like to stay a little lazy! Let's all get movin!! Really enjoying the flyball training. I always wondered how this was trained. And I'm so glad to be in at the beginning. That's fascinating! And you're smart to use video. I'll bet you see all sorts of cue opportunities when you watch that back. My two are flat-faced breeds, so they're really not doing well in this 90+ heat. We go for short walks in the morning, but then we're forced to do in-house fetch sessions for the rest of the exercise time. It's too hot! 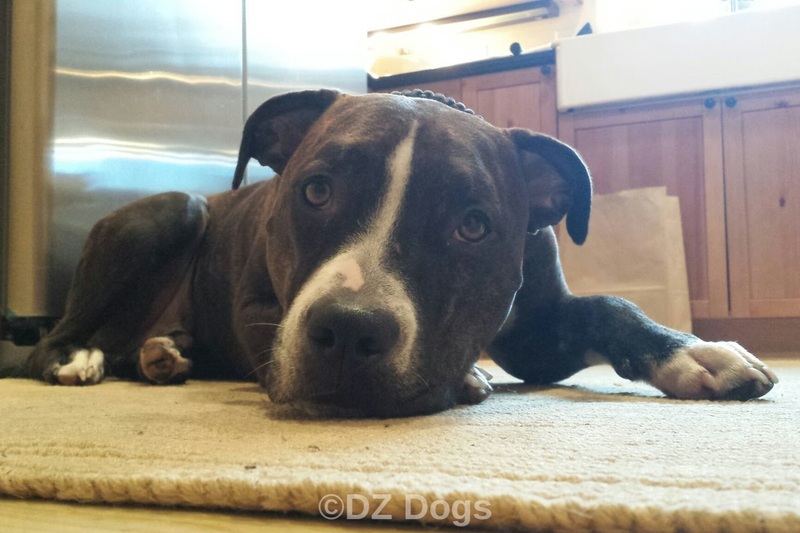 We can sympathize, unless we're playing in the river we stay out of the heat!